Ittefaq Se (Baat Baaki) song from the upcoming movie Ittefaq starring Sonakshi Sinha, Siddharth Malhotra and Akshaye Khanna has been released and it has the same, blue, smoky look from the posters, and is quite catchy. The song is based on the original one from the movie Namak Halaal, and was sung by Bappi Lahri, Asha Bhosle, and Shashi Kapoor, and has endured many years as a classic. The updated version has a few new lyrics but the chorus and the theme remains the same, which gives the video a haunting quality, as the two suspects and the detective circle each other in the search of truth. 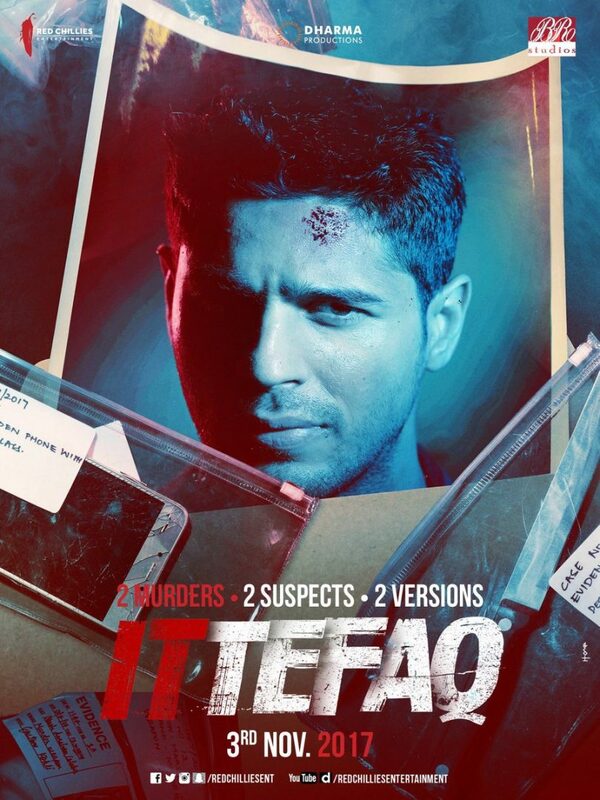 Ittefaq is directed by Abhaye Chopra and is about two people, Maya (Sonakshi Sinha) and Vikram (Siddharth Malhotra) who are suspects in a double murder case and Akshaye Khanna is the detective investigating the case as the two of them tell wildly different versions of the same story. The movie is scheduled to be released on 3rd November 2017 and has created a lot of hype and speculations about the plot as the movie is a remake of the movie of the same name, so there’s a lot interest as to what is going to happen in the story.